I LOVE my Kenmore refrigerator! 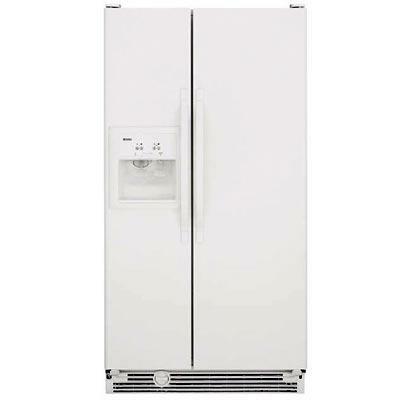 I've had a white kenmore 55642 side-by-side refrigerator for 15 months now and I LOVE it. The refrigerator is very reliable with easy, adjustable controls and a water/ice dispenser. The only drawback is that the machine is a tad bit noisy for our kitchen. I would definitely recommend this refrigerator to anyone with a spacious home, as the noise can be heard from a room away when all is quiet. This is by far the best refrigerator I've had and I have yet to experience any mechanical problems with it. This refrigerator has great storage space and conveniently placed shelves.